Unfortunately we do not have enough data to give you an accurate valuation. Your local Anderson's Lettings property expert will be in touch to arrange an accurate valuation taking into account improvements to your property, the local market and more. Or arrange a valuation now by clicking here. Whilst this instant valuation provides a guideline, your local Anderson's Lettings property expert will be in touch to provide a more accurate valuation taking into account improvements to your property, the local market and more. 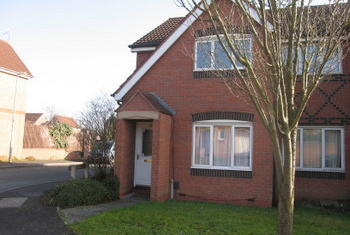 Set up fee (tenant’s share) £168 (inc VAT) for one tenant. Additional Tenant Fee £48 (inc VAT) per tenant. Permitted Occupier Fee £ Nil (inc VAT) per permitted occupier. Pet Deposit. To cover the added risk of property damage. All Anderson’s landlord fees are ‘no let no fee’ and deducted from the first month’s rent. Fee of £Half a month’s rent + VAT (Minimum Fee £350 + VAT). £75 + VAT for any subsequent fixed term agreements with existing tenants. Professional cleaning (if required) £12 (incl VAT) per hour which deducted from the deposit. Only charged where professional cleaning is necessary to return the property to the same condition as at the start of the tenancy. Find us on Twitter and Google+ for property updates and other news.